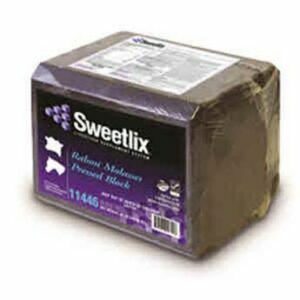 ® Show Chow® Fitter’s Edge® feed is a coarse-textured sweet feed. This is a complete, balanced diet formulated for optimum growth and development of show cattle. It can be followed by feeding Honor® Show Chow® Finishing Touch® feed. 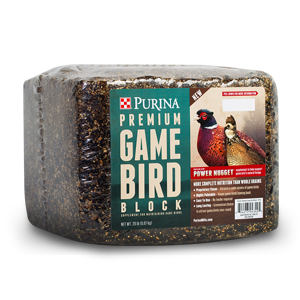 Fitter’s Edge® feed is supported by Purina’s knowledge, experience and research. It’s never too early to start thinking Winner’s Circle. 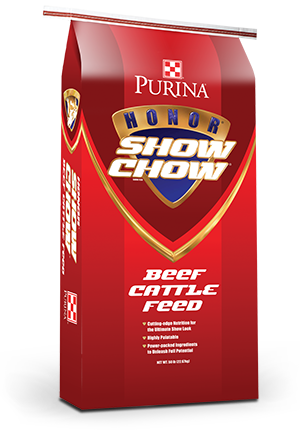 Get your best animals on Honor® Show Chow® Fitter’s Edge® feed today so they can reach their full potential. A natural feed additive resulting from a proprietary multi-step fermentation process of a proprietary strain of Aspergillus oryzae. 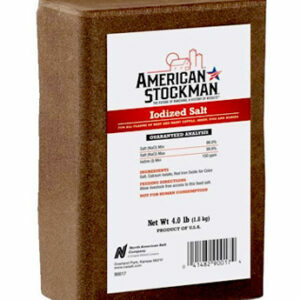 A true, fully fermented yeast culture developed specifically for optimum animal nutrition. Research proven, Diamond V® has a unique ability to support ration digestibility, palatability and intake by delivering a rich, all-natural nutrient source to the animal’s digestive bacteria. 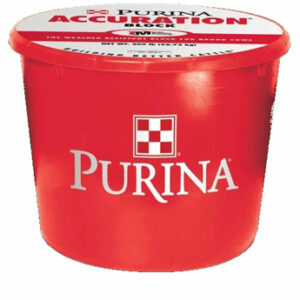 Purina 25% Protein Accuration Tub 200 lb.